Announcing Our First Ever Student Band Show!!! 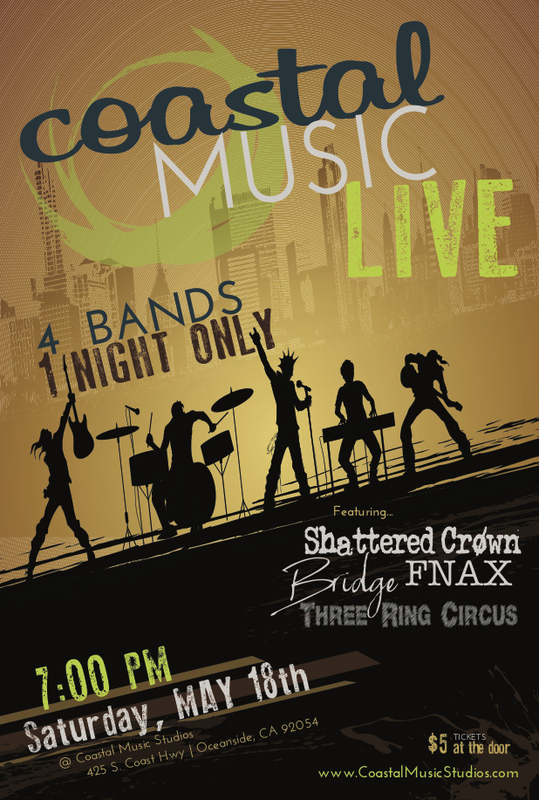 Coastal Music Studios is excited to present our first Student Band Show on Saturday, May 18th, 2019 @ 7:00 PM…right here on the Coastal Music LIVE Stage. All 4 bands are made up of students from Coastal Music Studios. It’s going to be a super fun night of live music. Tickets are $5/person and can be purchased at the studio in advance, or at the door the night of the show.